TMS - Product Overview - "Complexity Is The Enemy Of Execution"
How Many Clicks Does It Take to Book A Load With Your Current Software ? FreightMaster TMS® and Dynamics TMS® for Microsoft Dynamics ERP, are complete enterprise transportation management planning and execution solutions that enable shippers to rapidly manage their own inbound, outbound, and transfer freight. The solutions can be deployed On-Premise, Hosted On-Premise or as a Hosted SaaS solution with scalable, global capabilities to fit any size organization. Integration with a large variety of ERP platforms allows for supply chains to be fully connected. Inbound and Outbound appointment/dock scheduling management along with track and trace of transportation movements to customers is provided seamlessly and securely with an interfaced web collaboration portal. Powerful Transportation (KPI) Dashboards and dynamic SQL SSRS reporting empowers organizations to have information when they need it. Next Generation Logistics, Inc. is a Technology Based Provider Offering Managed Transportation Services, Transportation Management Software (TMS) and Supply Chain Consulting. - Are You Looking For an On-Premise, Hosted On-Premise, or SaaS "Cloud" TMS Solution? - Are you using an "Enterprise" or ERP system that is not best of breed ? - Do you want to keep your carrier base & rates confidential ? - Need a TMS module that you can quickly interface with your current system ? - Has your business outgrown your current software ? - Are you looking to only pay for features that you really need ? - Are you concerned about user security but don't want to add multiple databases ? - Do you want us to host your application ? Take a look at our - Our SQL based TMS Solution® is your answer! - Are you Paying Your Current Software Providers "Crystal Chandelier" ? It's Software That Works The Way You Do! Dynamics TMS® and FreightMaster TMS® are a complete enterprise transportation management planning and execution suite that enables transportation professionals to make effective and efficient business decisions. 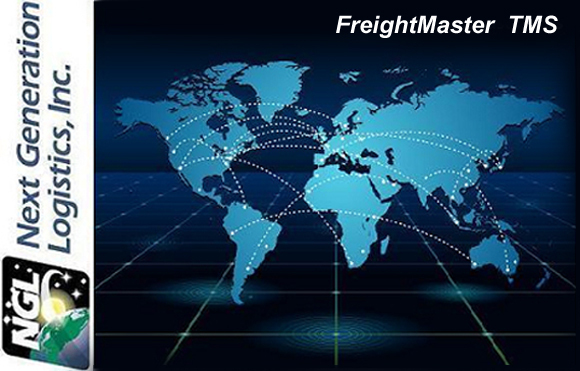 FreightMaster TMS® can be quickly deployed, whether you choose our On Premise model or Hosted On Demand model to manage a single company or multiple divisions. 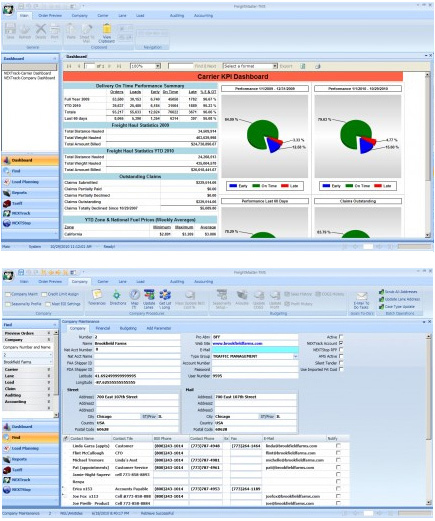 It is very easy to use, yet a very powerful application that will reduce costs and save you time; deliver the functionality you need to make better decisions in providing end-to-end support, from order entry to optimization, to auditing and online settlement, to carrier collaboration and communication. Agility: We take advantage of development tools, automated service management and global datacenter presence to respond faster to customer needs, focus on your competitive differentiators, and reach new markets. Efficiency: Windows based technology improves productivity and increases operational efficiency by lowering up-front capital costs. Customers and partners can realize a reduction in Total Cost of Operations of some workloads by up to 30 - 40% over a 3 year period. Focus On Best Practices: We focus on delivering services and value to your transportation department which enables you to spend less time on operational hurdles and more time focusing on your competitive differentiators. Simplicity: Utilize your existing familiar transportation skills and workflows to make you more productive. Trustworthy: Enterprise class service backed by a reliable service level agreements and a rich online services experience. Today's modern software undergoes enhancements and improvements in an ever accelerating pace. As users and business processes become more sophisticated, the number of upgrades can leave people apprehensive about utilizing new features and functionality. Next Generation Logistics, Inc. firmly believes that in order for organizations and individuals to achieve the maximum return on their technology investment, they need to participate in a continual improvement process. Consequently, NGL is committed to sponsor comprehensive training programs for all users at all levels of proficiency. There are currently 5 NGL training courses available at our corporate offices. Please contact us for a detailed course outline, dates and fees. To be able to provide each student with personalized attention, each course is limited to a maximum of 8 students. Each student will be provided with their own computer and will work thru a pre-determined script of practical, every day scenarios so at the end of the day, they will be more adept at solving problems on their own. DOE Fuel Surcharge Automated Calculations. ADHOC Appointment/Dock Scheduling (adhoc order metrics). Operating Systems-Windows 2008/2012® Support for thin client environments compatible with VPN, TS & Citrix® XenServer Metaframe or WAN (Wide Area Network). SQL Database Servers - Standard & Enterprise & Data Center. The quality of our work shows through because it is designed with passion and deep expertise. We Bring Over 30 Years Experience To Get Your Project Done Right! © Copyright 2017 Next Generation Logistics, Inc. All Rights Reserved.